/ Modified nov 2, 2017 4:50 p.m. 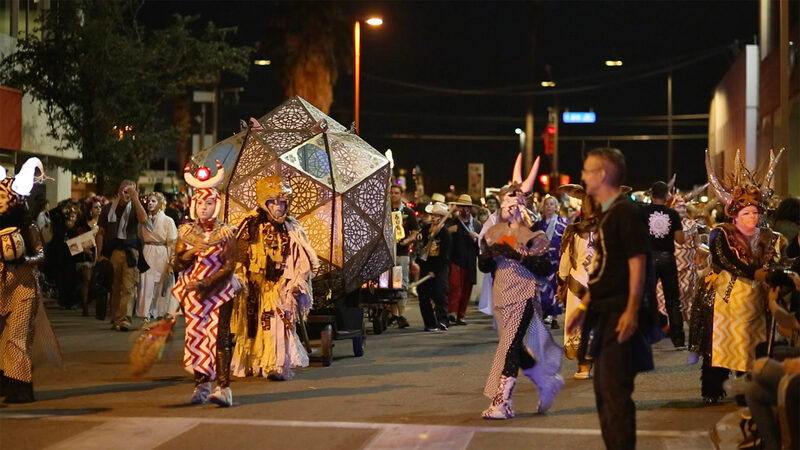 The All Souls procession in Downtown Tucson. Tucsonans taking part in the annual All Souls Procession will find themselves walking a new path. The event have traditionally cut a path through downtown to the procession finale stage near Mercado San Augustin. This year, they will start on Grande Avenue south of Speedway Boulevard and walk to the Mercado. The procession will result in the following road closures starting at 3:00 p.m. Sunday. 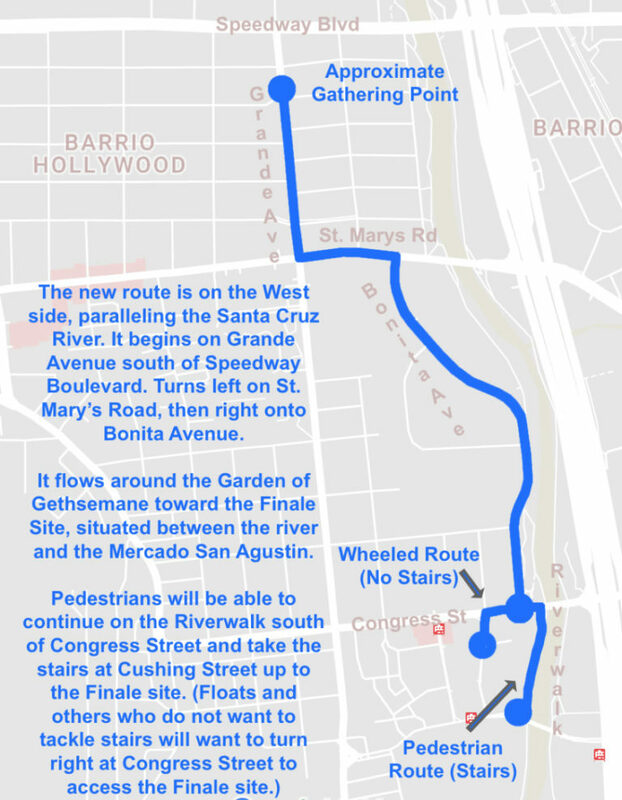 "It’s my understanding that they will be rolling closures, so as the procession moves south and east, we will start closing off those roadways," said Tucson Department of Transportation's Michael Graham. "And the anticipated time to re-open will be 10 p.m."
This will be the 28th year of the All Souls Procession in Tucson. Event organizers call it a chance for a community to commiserate and remember loved ones lost in the past year. “I think that when you can feel community around you supporting you in those times when you’re very vulnerable, that makes it really possible for us to heal and move forward as human beings,” said procession creative director Nadia Hagen. The event attracts more than 150,000 people each year. With the large crowds in mind, TDOT is asking people to park downtown and use public transit to get to and from the event. Sun Tran will deviate Route 22 from its normal path so it passes within a block of the start of the procession. The procession's end is near the streetcar's westernmost stop. Streetcar hours will be extended to 10:30 to accommodate those looking to get back to their car in downtown after the event. For more information, visit the All Soul's Procession website. MORE: Arizona, Pima County, Culture, Downtown Tucson, Entertainment, Events, News, Streetcar, Transportation, Tucson, U.S.